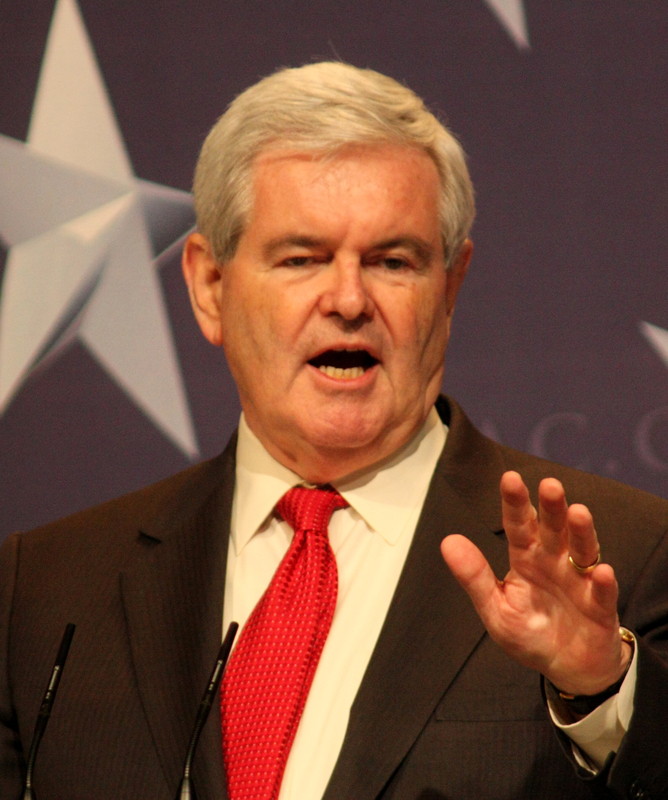 Newt Gingrich was once the most important republican in politics, as leader of his party in the House of Representatives. But he’s been out of elective politics for over ten years. And while he’s undoubtedly an intelligent and brilliant man who’s managed to stay in the public eye despite more than a decade out of office, he’s also been married three times (never a good way to connect with those religious conservatives), and divorced his ex-wife while she was in the hospital recovering from cancer. That’s John Edwards-style behaviour that would be unacceptable from a democrat. And so on and so forth. I’m not convinced that American journalists are hard-working and courageous enough to actually call Gingrich on his public nastiness. But I do think that, while many Southern and rural white voters won’t see a problem with many of the things that Gingrich has said, minority voters and educated whites will be disgusted enough by the man’s comments to turn out in bigger numbers than usual to ensure that he doesn’t get elected to the White House. Even Sarah Palin hasn’t said anything remotely as bigoted, even if she’s spouted some crazy nonsense at times. Mike Huckabee and Mitt Romney are practically democrats in comparison. This is all, of course, assuming that a thrice-divorced overweight man who’s been out of politics for more than ten years can win the republican nomination.